I would love to hear your feedback or testimonials with regards to our VAnetworking Forum. It motivates me and gives me inspiration to know others do find it worthwhile and a place they enjoy. Many of you have already stated wonderful things about the forum throughout the forum in various posts but it would be nice to see them all in one place....Thanks! PS. I may wish to quote some of your feedback in future articles related to the VANF forum so if you are not interested in sharing your feedback further than this post, please state and I will not include else include your URL so I can link to your website. I would just like to let you know that this forum has been an indespensible tool in helping me form my business plan. Before I found this Forum I felt like I was totally alone! Yes, I belonged to several VA/business, lists/groups, but I wasn't getting what I needed from them! Here at VANF I come in several times a day and feel like it's HOME! like I belong! If I have a question/query that I need an answer to ASAP, I know it will only take a few moments before I get all kinds of helpful answers. The degree of knowledge that is freely shared here, warms my heart! Especially the VA's (you know who you are) that will give me the bare boned straight laced answers that I need! I know for a fact that the degree of success I'm having in my Business is directly linked to the Virtual Assistant Networking Forum! I absolutely love this forum. It is a safe haven for VA's at all levels of business to know they can ask any question, and get an answer. I have been on other forums and lists, and I can tell you, sometimes a person can become gun shy about asking questions because of the way some individuals will pounce for asking what is perceived as an inane question. NOT HERE! I think the law is engraved in stone somewhere, at the VA Networking Forum, there are no stupid questions. I love how we help each other out, share ideas, and encourage each other. Thanks for helping to create such a terrific, welcoming forum. I wanted to take this opportunity to thank you for this incredible forum. I depended on the VANF in the early stages of my VA practice and will continue to do so as my business grows. 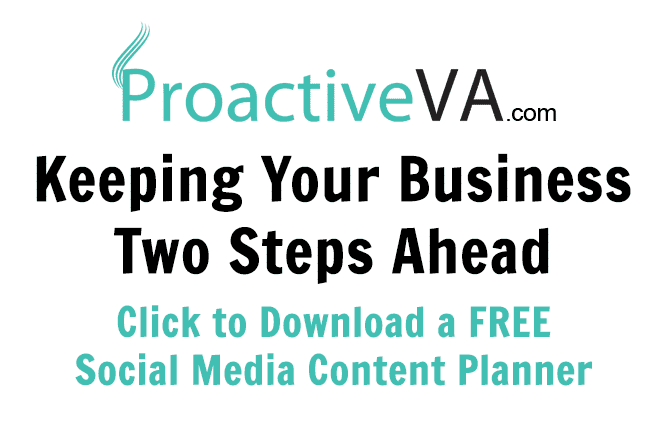 I have found this forum to be an invaluable tool for the growth of my VA business and the members here make it extremely enjoyable and easy to discuss all areas of business and the VA industry. I have been a member now for a while and I can only hope that I can contribute to the VANF half as much as I have taken from it. I am proud to be a part of this great forum. I would like to thank you for forming this forum and spending so much of your time being a "den mother" to us all. I am a new VA and as soon as I "clicked" on the forum I could feel its friendliness. Not only is everyone so very knowledgeable but no one is judgemental either so no matter what your question is someone is always willing to help. This forum goes beyond "work" - we are FAMILY!! The members of this forum I believe are unique in that they care about each other, both in business in regard to motivating each other, the sharing of information, sharing in the joy of each others successes and socially with life's ups and downs so that no one need ever feel alone! I have found that I have become addicted to this forum and feel honoured to be a member! Since I had already been working at home in a virtual assitant type of capacity before I even knew that a Virtual Assistant world existed, I wanted to try to expand my already very small at home secretarial service and explore the idea of possibly opening up my own business. I then stumbled up and began to research the VA industry. Through that research, I came upon this forum and I am so very happy to have found this place. This forum and it's members have provided a tremendous amount of information, support and feedback for the experienced VA or the VA just starting out, which has been very helpful to me. I wasn't sure what to expect when I starting thinking "outside the box" and wondered if I would be laughed at for wanting to take my career (and future) to another level that some have never even heard of. I was quite relieved to be welcomed ...thank you for creating this wonderful forum! Prior to joining the forum I was not sure if I would qualify as a Virtual Assistant. I was also at a loss to understand where I could get information on becoming a VA. 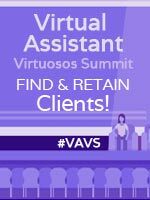 I have visited other websites, but I was not successful in getting the information I was seeking, until I discovered Virtual Assistant Networking Forum (VANF). I was at first hesitant to ask questions for fear that some of the members might consider my questions silly; however, after reading the questions and answers of the other members I felt that all of them are very knowledgeable and sincerely helpful. I have learned a lot just by reading the forum everyday. Now I feel quite confident that with a little bit more training and continuing to read the forum I will be able to launch my own business as a Virtual Assistant in the very near future. Thank you Tawnya for founding this forum. You have been a significant help and inspiration to all of us. What I find most useful is the diversity of VAs in the forums. I feel comfortable helping people with my expertise, but at the same time, getting help from others with my own questions. It's a great give and take situation. I am so grateful for the VANF! It is a place I can go each day to learn, laugh and share! Thanks Tawnya and the VANF Gang! Tawnya for starting the VANF forum! It has truly been a Godsend as we all 'grow' our VA practices. This exceptional group of people are so willing to assist whenever we have a question (or need to vent once in a while)! Cathy I have to second your post! This forum is by far the best VA forum I have come across! ! Everyone is a wealth of information and is very helpful when it comes to needing advice etc. I look forward to the day I can post my first " I got a client" posting on here... I can just anticipate the reaction and warm messages I will get, and already do get as support for building up a client base!! Have a wonderful Monday - Its a VERY short week for me in the office - 3 days... YEA!!! Well - the brain finally kicked in and I remembered my user name and password. DUH!!! Glad to be back. I love visiting this forum! It's very informative, I always find the answer to my questions. It's good to know others experience the same thing I do.